Hello all! 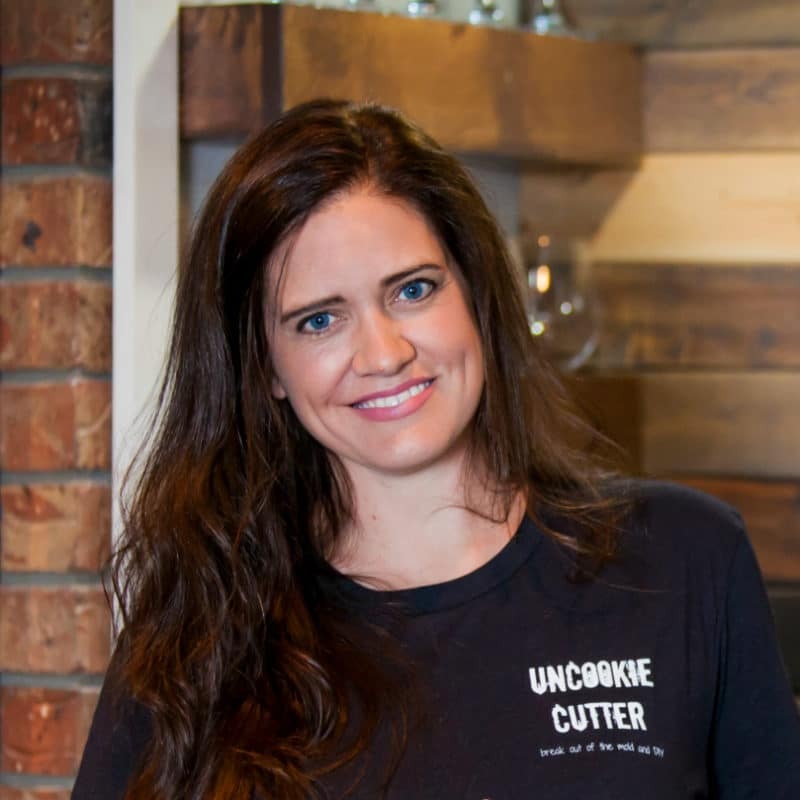 I’m so excited to be participating with 25 amazing bloggers for my first ever Home Depot virtual party. 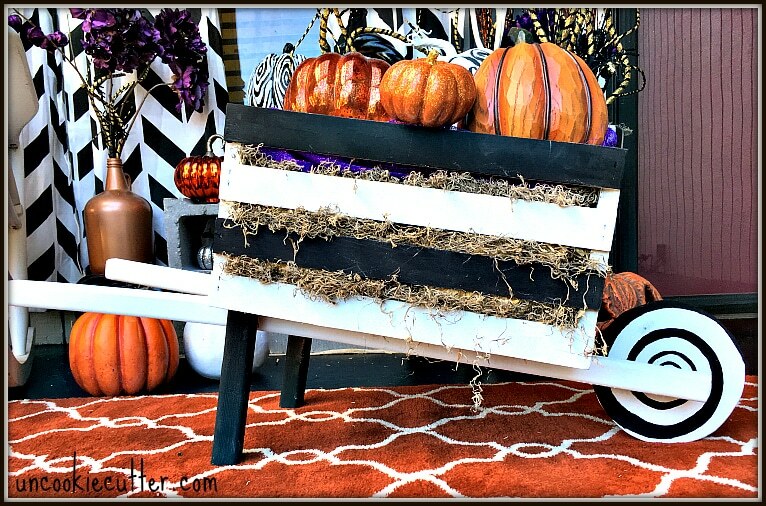 We will all be showing you our customized and styled versions of this Rustic Wheelbarrow – which you can learn how to build at the next Home Depot DIH workshop this Thursday night! You may remember last week, I told you all about the fun workshops that you can take for FREE at The Home Depot. They have DIY, DIH (do it HERself) and kids workshops. 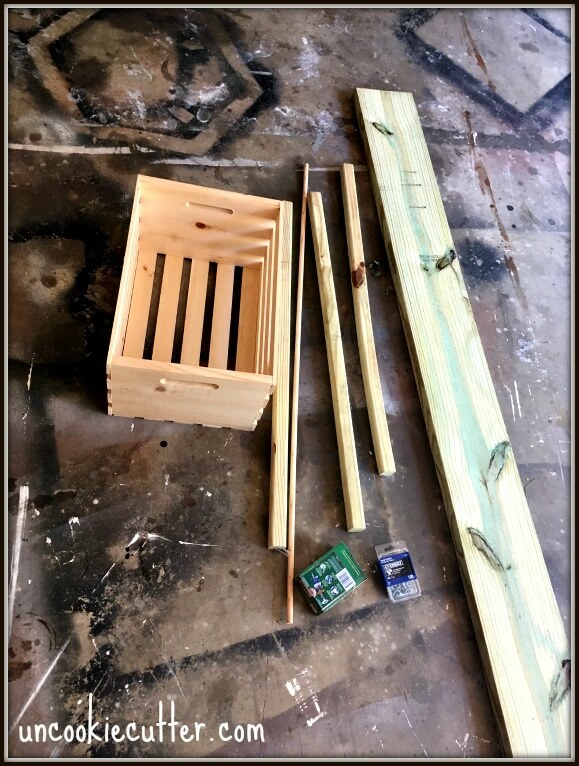 During one of this month’s DIH workshop on this Thursday, Sept 15 you can learn how to build this fun little rustic wheelbarrow, meet some other DIYers and have a great time playing with some power tools! Check HERE to see if there is a class near you. This year for Halloween, I wanted to do a Tim Burtonish theme, but since it’s not quite time for Halloween I wanted a way to transition from fall to Halloween decor seamlessly and here is what I came up with. Okay, so maybe I went ahead and added a few Halloween elements, but I have more in mind. But it works wonderfully now for fall, and I won’t have to change too much next month to spice it up. I staged everything around the wheelbarrow. It was an easy build and I’m sure anyone could pull it off. The materials cost less than $20 and you could even use some scraps. I did a little painting to fit with my theme, but my favorite part is the spiral on the wheel. It was easy, I did a quick google image search and found a spiral that I cut out and traced onto the wheel. I put some cool Spanish moss and some pumpkins. I’m not the best a stylizing things, the building usually comes a bit easier, but I love the purples and oranges with the black and white stripes. So, if this isn’t your style, not problemo! 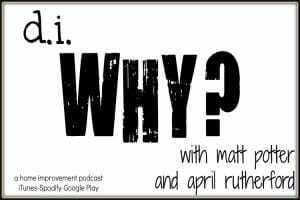 I’ve got 24 other amazing projects to inspire you. Browse through and check them all out. I’ll have some more details up soon on how I put the whole front porch together. No lie, here is what we have been using to welcome guests to our home for a year and a half. Thanks so much for stopping by and check HERE to sign up for a workshop or just visit your local Home Depot. 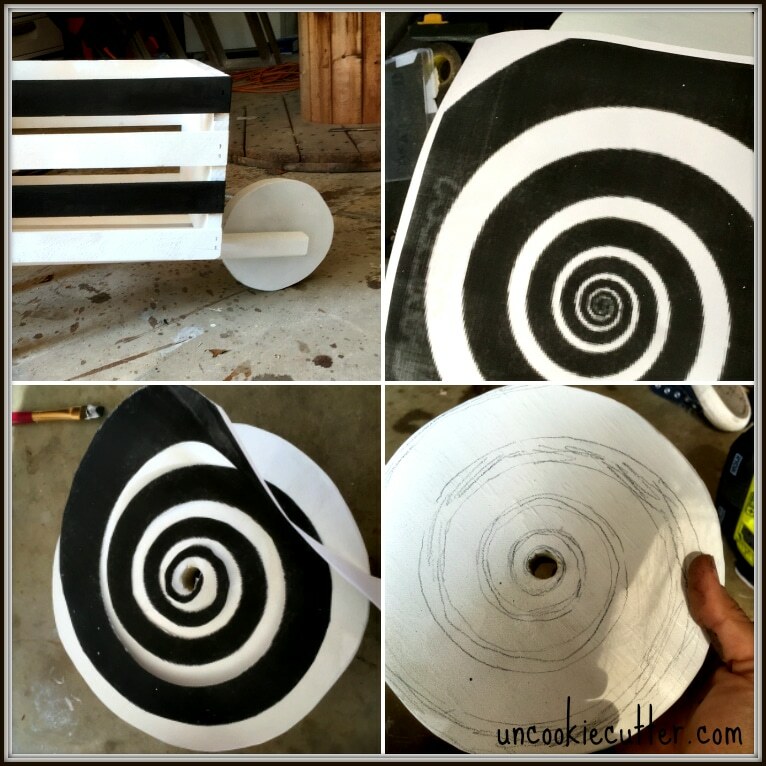 Love the treatment of the wheel – what a perfect addition to your awesome Halloween porch. Thanks so much Kim! Can’t wait to see yours :). Your finished project is very clever and unusual! Points for uniqueness! 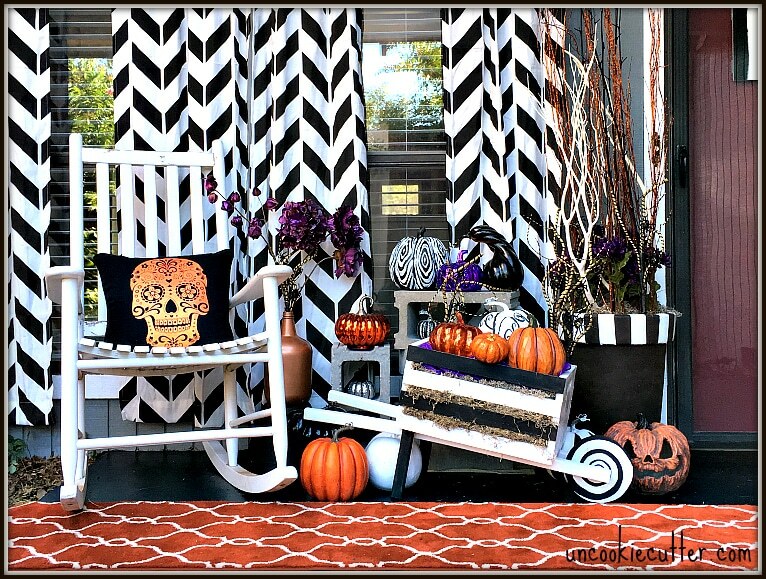 How fun that you went “Halloween” instead of “Fall” – such a great display on your porch! Thanks Megan – I’m always behind, so I figured I’d get a jump start on one holiday ;). what a fun approach to use for halloween. love it! This came out amazing, I love it!! That is so cute! I love what you did to make it feel ready for Halloween. I love this idea of working with Home Depot for DIY projects. Awesome! I love Home Depot :). Thanks Emily! I LOVE how this turned out! So incredibly cute! 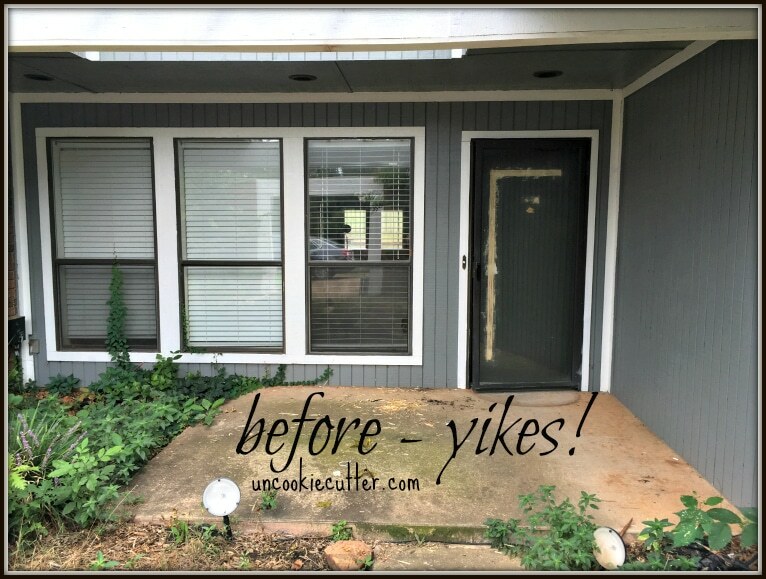 Your front porch looks AWESOME!! 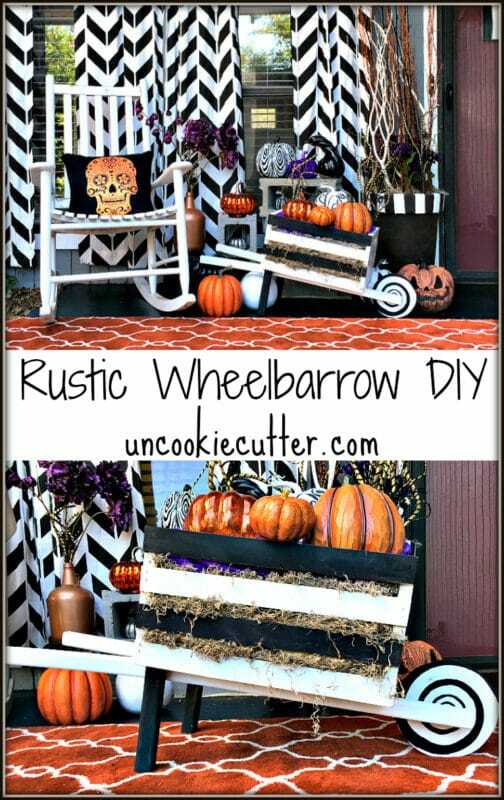 That wheel barrow is so cool, and it’s such a good idea to use a crate. Pinning!! This is SO great and so you!!!! Love that it’s different and neat! Way to go mama! Love how this turned out April…..Love the black and white look. I love the wheelbarrow, but I am obsessed with the curtains! 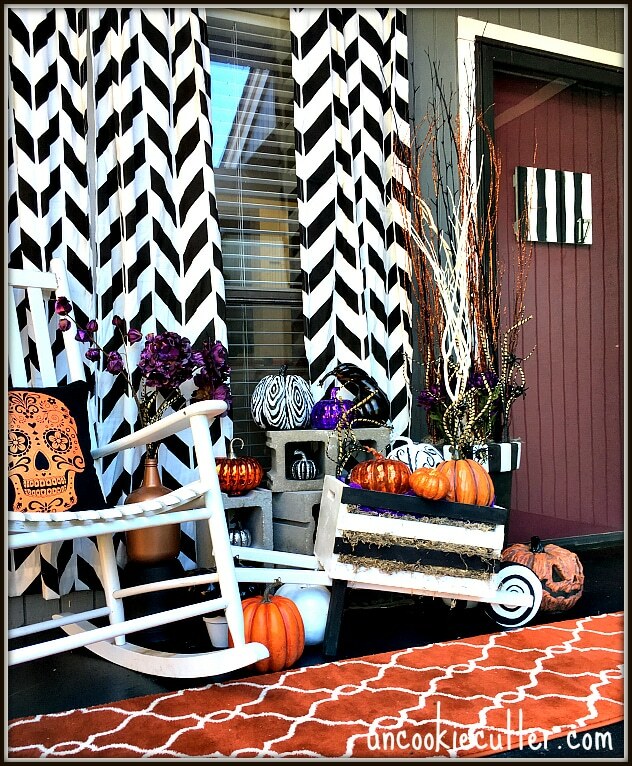 Do you always have curtains on your front porch or just for the holiday?? Thanks Amanda! I just got the idea to hang them and I’m so happy. Don’t know why I didn’t think of doing it before! It make the whole space feel more welcoming. Love how your wheelbarrow turned out and the front wheel is really clever! Pinned. The workshops at home depot are awesome! They really are! Thanks for stopping by Rachel! This turned out great!! I love how fun you made it. I love your Halloween wheelbarrow. I can’t wait to make one. So perfect for fall decor. Pinned! 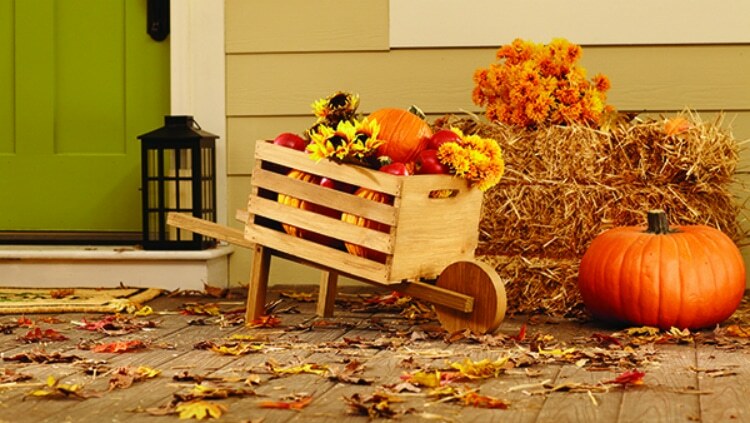 What a cute little wheelbarrow craft! I have seen the workshops at Home Depot but never participated! I am going to have to check them out! I would love it if you would stop by after 8 PM EST tonight and share this at Celebrate Your Story! link party! Thanks Chloe! I need to stop by, I have been so bad about linking up lately!! Thanks for the reminder!